Lots of different components in your car require oil to run properly. Your engine is the one most of us think of because of how often your engine oil needs to be changed. Your transmission fluid is simply a type of oil that not only lubricates but is designed to be a hydraulic fluid as well. Your differentials also use oil to lubricate and cool the gears inside and if you’ve got a 4 wheel drive vehicle, the transfer case will have oil inside as well. A system that you don’t often think of as using oil is your air conditioning system. Like any system in your car that has moving parts, your air conditioning compressor requires lubrication to keep things cool and moving smoothly. Without lubrication, your air conditioning compressor wouldn’t run for more than a few short trips to the grocery store before it seized up. The refrigerant in your air conditioning systems a poor lubricant, even in its liquid state and compressing the refrigerant creates an incredible amount of heat. Those two factors combined means it’s important to add something else to your air conditioning system to provide lubrication to keep things working properly. After you start talking about a system that requires oil, the next two questions you have to ask are how often does it need to be changed and how much oil does it require. Lucky for all of us, your air conditioning system doesn’t quite work that way. Most systems in your car use an oil bath or pressurized system to keep oil flowing over the moving components. Your AC compressor isn’t lubricated with an oil bath or pressure system, but instead, with the fluid it’s compressing. We already mentioned that the refrigerant your system uses is a poor lubricant so oil must be added to the refrigerant to lubricate the compressor while it works. This means, your AC oil capacity is dictated by the amount of refrigerant your system requires rather than the size of the sump. It’s very important to have the right amount of oil circulating with your refrigerant. If you don’t follow the AC compressor oil capacity for your car you can risk having a lack of lubrication for your compressor causing premature wear. On the other hand, too much oil can clog your system or cause inefficiencies. 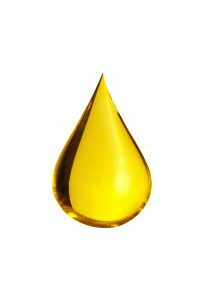 Besides the correct amount of oil, it’s important to use the right type of oil. Like all the systems that use oil in your vehicle, it’s important to use the right type of oil. The type of oil can affect its ability to lubricate as well as its ability to inhibit corrosion and keep the seals in the system in good condition. To make sure you use the correct type of oil and the correct amount it’s important to check the information sticker about your car’s air conditioning system. It will be under the hood of your car either on the radiator support or on the underside of the hood of your car. If your car is missing the sticker you can always try calling your closest dealership for the same information. Once you know the type and amount of oil you need to add to your air conditioning system, you can use the BlueDevil Oil Injector to add the oil to your system to make sure your AC compressor continues to function properly. Thanks for your question about your Jeep Grand Cherokee. First, install all your new components, then have the system completely evacuated and refilled with the correct weight of refrigerant. Then, you will add the full amount of oil to your system in the low-pressure port and it will mix with your refrigerant and circulate with it.